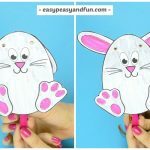 We have a yet another wonderful Easter craft for preschool and kindergarten to share with you – a fun Easter egg paper weaving craft (with template) that gives a great fine motor skills workout. 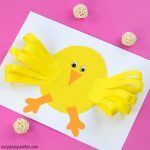 We love crafts that give something extra, and this simple and quick Easter craft idea will give a nice workout both on fine motor skills and scissor skills. 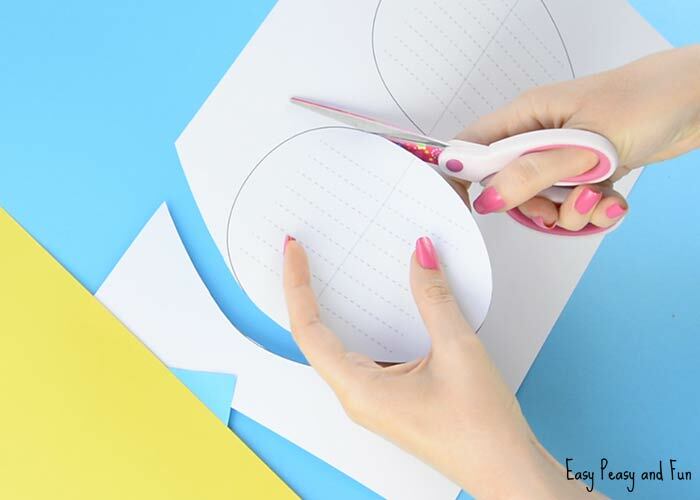 If you are not yet comfortable (especially if this will be a classroom craft) with giving scissors to the kids and have them do the cutting by themselves, this craft idea is a low prep one, so even if you do all the cutting before hand it still won’t take you too long. 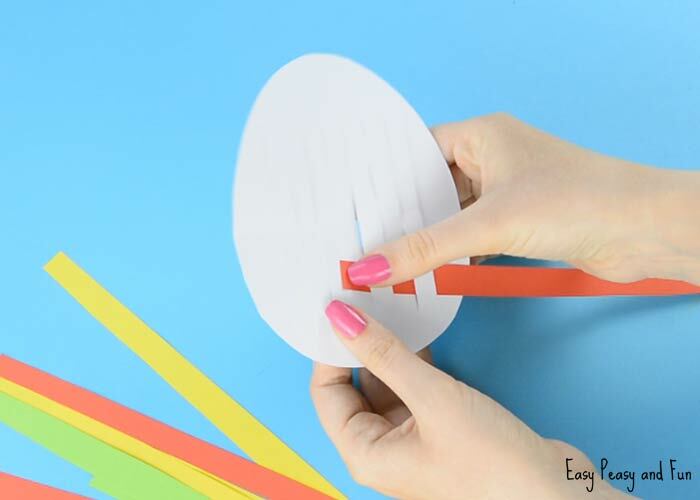 Unless you have to make a 100. We do advise getting some help then :). 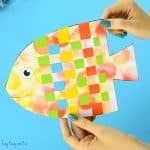 The more colored paper the kids will be using with this project the more fun and creative it will be. 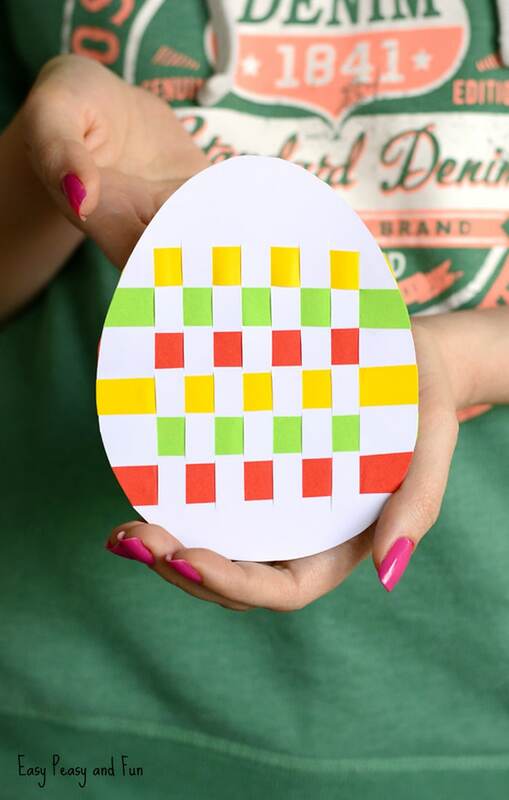 Naturally it comes out quite nice even if you use 1 color. 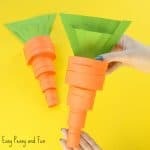 Ready to make one (or two) by yourself? 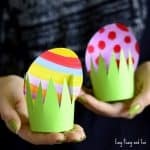 Lets make one! 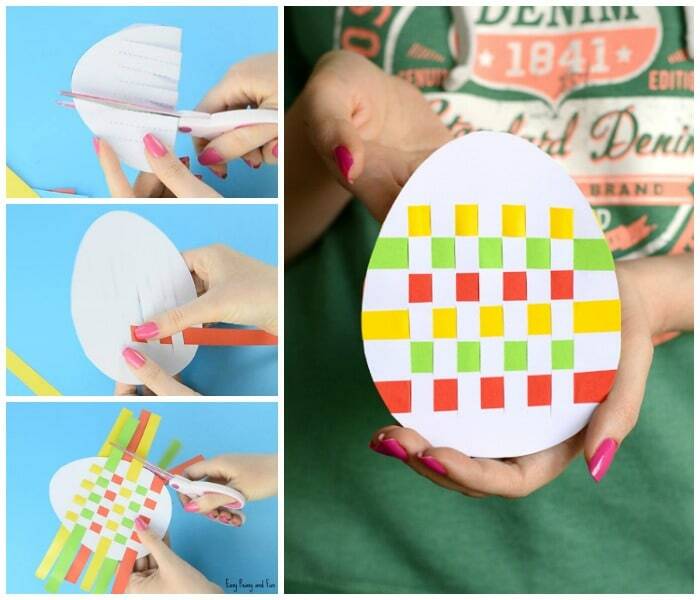 Print out the Easter egg paper weaving templates (get them at the end of this tutorial). Fold along the middle – as indicated by a gray line. 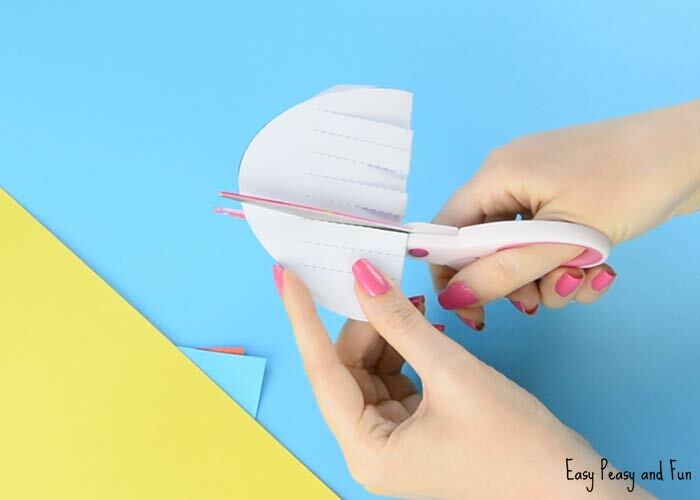 When folding, make sure the side with printed lines is on the outside. 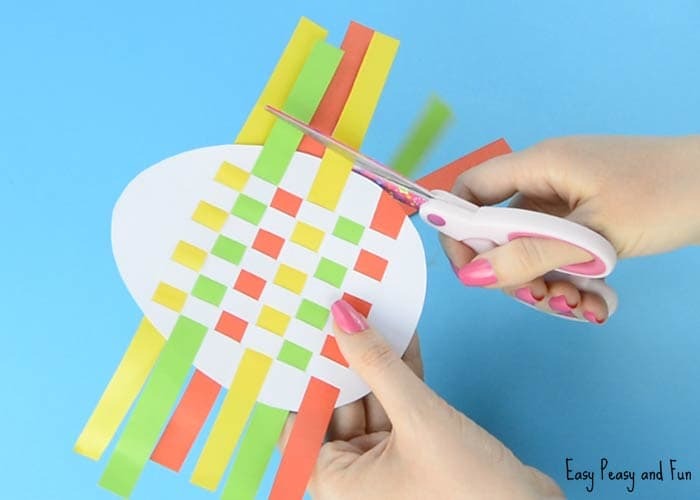 Take the colorful sheets of paper and cut thin strips. 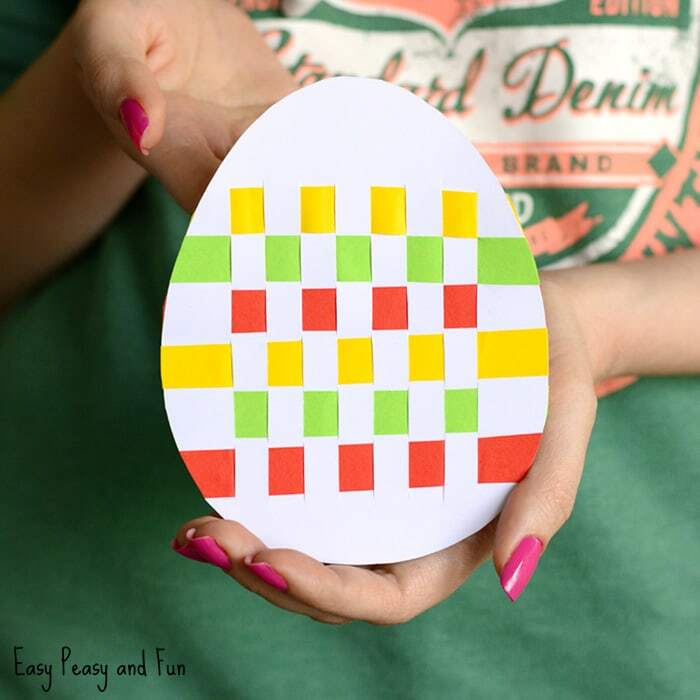 Weave the strips between the strips on the Easter Egg Paper Weaving template. 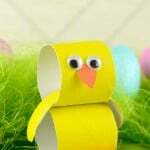 Once you have them all woven in, glue them to the egg at the ends.